Great move. Hopefully at a reasonable price. Excellent. This is a good move IMO. “We’ve already been in negotiations. We’ve been keeping it under wraps. 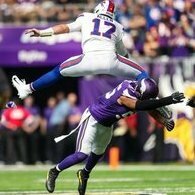 The word on the street is the Bills are looking for a new 3-technique, and I think I’m the best candidate. So we’ll see,” Phillips said. Good, get this stuff done early and know what you have going into FA and the draft. The D solidified after he was signed. Still room to improve on the unit as a whole, but a good pick up, and a piece of the puzzle. Wonder how much? I do think he is a valuable commodity as a rotational piece. Awesome. Get it done. Solid player and looks like an excellent teammate. Always trying to pump up the team and the fans. it would really be ok with you if he cost us 2 games because of penalties? That's pretty significant in a 16 game season. Good move by the front office. 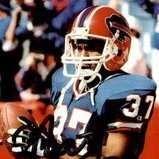 His play seemed to be decent/solid and seemed to really enjoy playing for the Bills Fans. Lot's of busy beavers at OBD. I mean watching a 13 year vet get roaring applause in his retirement game from the fanbase probably leaves a great impression. Good move. This guy can play. Since he denounced everything Miami Dolphins, I have no problem with this.